Android, Symbian and Java currently. play UC park games and more fun. 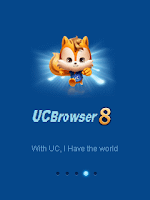 Updated: UC Browser 8.0.3.99 Final Unofficial English, S60v5 URL http://symbian2share.blogspot.com/2011/09/symbian2shared-uc-browser-new-series-8.html. NEXT.